Sunroom room additions can be a great way to get extra space and add natural light to your home. But they aren’t suitable for everybody. If you have a beautiful patio already and aren’t quite ready to take the leap to a full sunroom, a great patio enclosure can be just what you need. 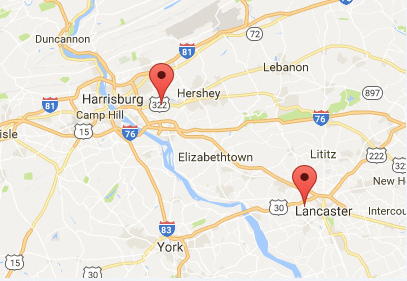 PAsunrooms installs porch enclosures in Harrisburg, Lancaster and throughout Central PA that give you many of the advantages of sunrooms without the commitment. 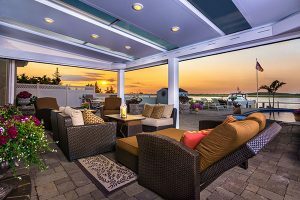 Why Choose a Patio Enclosure? There are many reasons way patio enclosures are a great first step for enjoying sunroom-style comfort in your home. Four Seasons Sunrooms can give you a wide range of styles to choose from so you can build on to your existing patio to create a beautiful custom design you and your family are sure to love. And when you’re ready, you can upgrade to a full sunroom for a complete sunroom experience. PAsunrooms can either install walls under your existing patio roof, or we can convert your existing screen enclosure into a livable sunroom by removing the screens and installing beautiful new glass walls. These options are great ways to gain the livability of a sunroom while building onto your existing structure. This allows you to enjoy your patio in comfort in just about any weather. 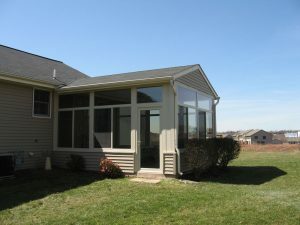 To learn more about upgrading to your home with a Patio Enclosure, call us at 717-564-2244 or contact us online! At PAsunrooms, we are all about “installing sunshine” by bringing the wonderful natural light and the great outdoors around your property inside to you. Whether we do that with a beautiful patio enclosure or a full sunroom is up to you. Whatever you choose, you will be able to enjoy the outdoors while safely indoors in every season. Once you have that experience, you will wonder how you ever lived without it. We’re ready to get started whenever you are. The first step is to have one of our consultants visit your home to help determine the best way to install your patio enclosure. Also, we’ll discuss your preferred options. To schedule your free in-home consultation, fill out and submit our online form. Or, if you prefer, give us a toll-free call at 717-564-2244. We will find the ideal patio enclosure to fit your lifestyle and budget, give you an estimate and get to work whenever you’re ready. Get started today!